The Massachusetts Department of Elementary and Secondary Education contracted with WestEd to complete this multiphase study from 2012–14. WestEd researchers identified and collected sets of content standards currently used in traditionally non-tested grades (e.g., grades 1 or 2), courses (e.g., Creative Writing, Calculus), and subjects (e.g., world languages). Researchers then convened Massachusetts teachers and content area experts to specify the critically important content in each set of standards from which anchor/essential standards could be developed. Next, WestEd staff scanned the assessment landscape for all promising tests or tools for possible adaptation as DDMs. The set of promising measures included tests developed by teachers within and beyond Massachusetts, open source tools used in other states, and commercially available assessments. To support educators with decision-making about the appropriateness and usefulness of each measure for educator evaluation, WestEd developed a rubric for evaluating the suitability of each promising assessment for use as a DDM. The DDMs may be used in non-tested grades as contributors to a teacher evaluation rating. 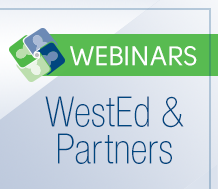 WestEd provided the Massachusetts Department of Elementary and Secondary Education with summary reports for each grade, course, and subject that WestEd then integrated into a comprehensive assessment planning document. Learn how to use Smarter Balanced assessments to expand the scope of classroom literacy practices. 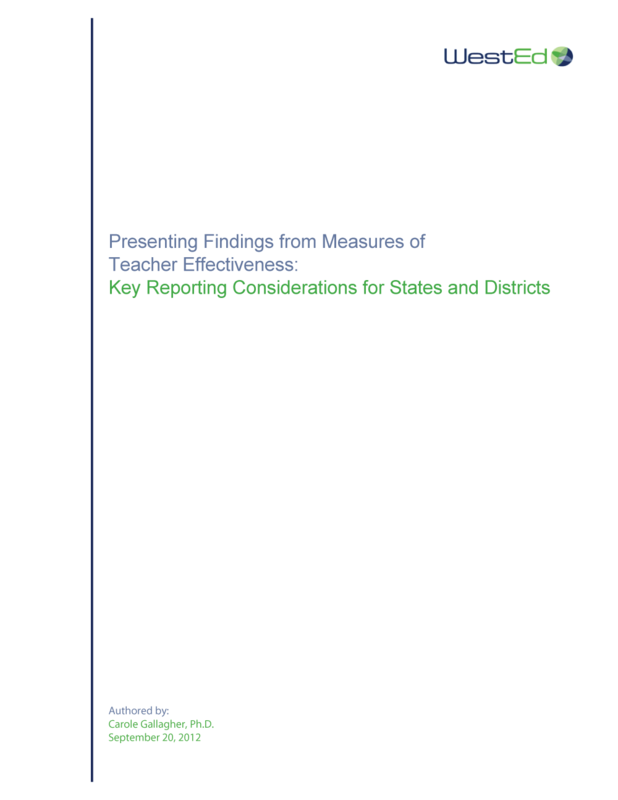 How does a popular measure of teacher effectiveness hold up under scrutiny? 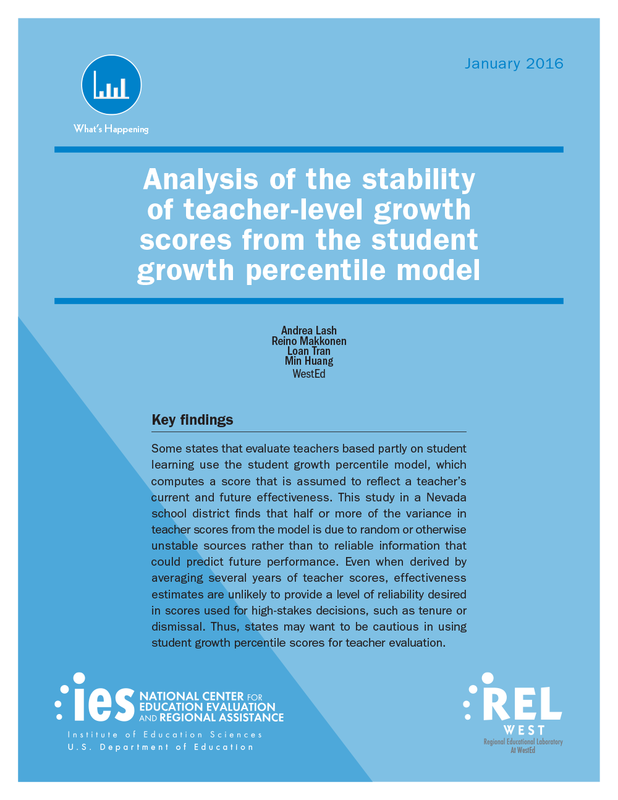 Find out in this REL West research report. 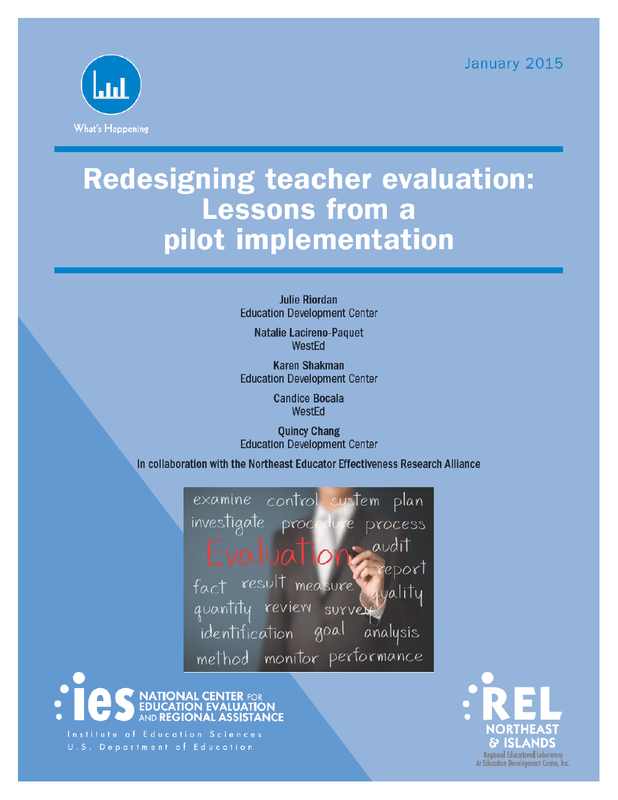 This study analyzes redesigned teacher evaluation systems in several New Hampshire school districts.